With a little under a month to go until we exhibit again at the huge BC Home + Garden Show at BC Place, we thought we’d do a little pre/post view of the Vancouver Home + Design Show from last Autumn. 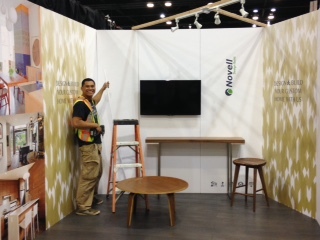 As with everything we’ll start at the beginning – a few shots of Angelito during the pre-show set up! For this show we had beautiful re-usable bags printed especially for visitors to our stand at the show. We all know what its like you when you go to these events, so many little bits of paper, brochures, business cards, so we thoughts we’d give you a handy reusable bag with the most important details printed on the outside – OURS! 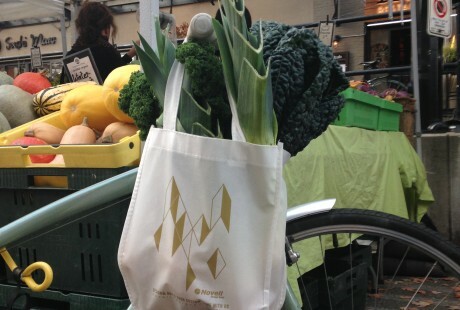 They’re also useful post show for that spare pair of shoes you take to the office, your lunch box or as Lauren our Adminitrative Coordinator uses hers – The Yaletown Farmers Market! One of the reasons we love to exhibit at the shows is the the opportunity to meet new clients, hang out with current clients and catch up with old friends. 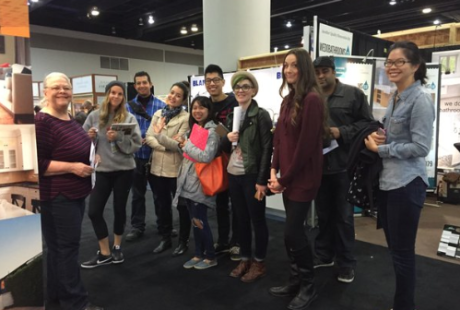 We also had the BCIT marketing group stop buy to compliment us on our booth! 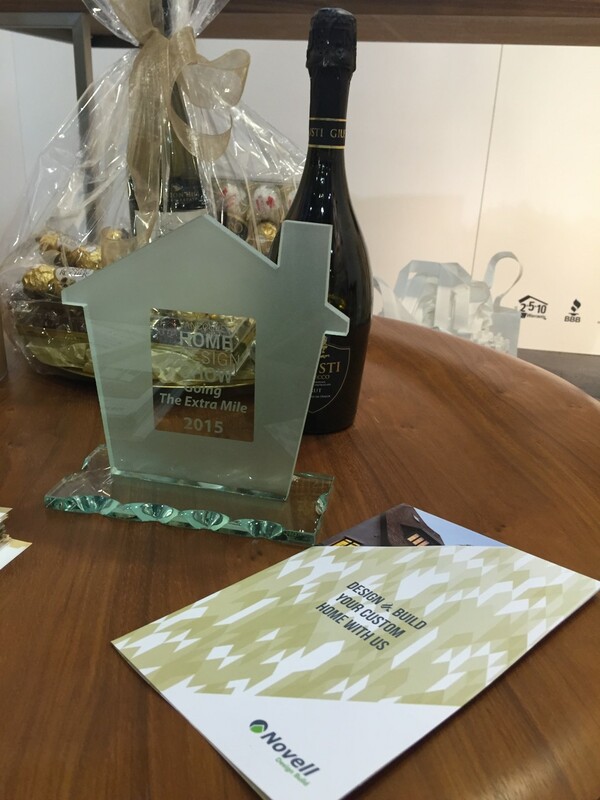 Finally, we are delighted to be awarded the Vancouver Home + Design Show – “Going the Extra Mile” award 2015. The gorgeous glass trophy now sits in pride of place in our office amongst our other accreditations. BC Home + Garden Show BC Place Stadium, Vancouver February 17-21. 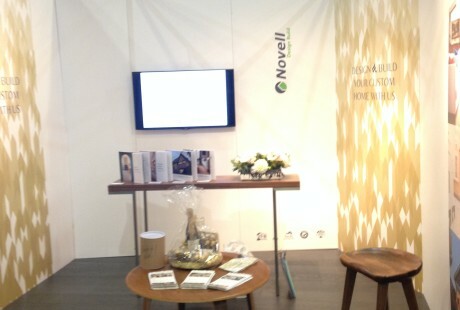 Please drop in to our Stand #310 and say hello. If you would like to meet with us to discuss your home build / renovation, click here. 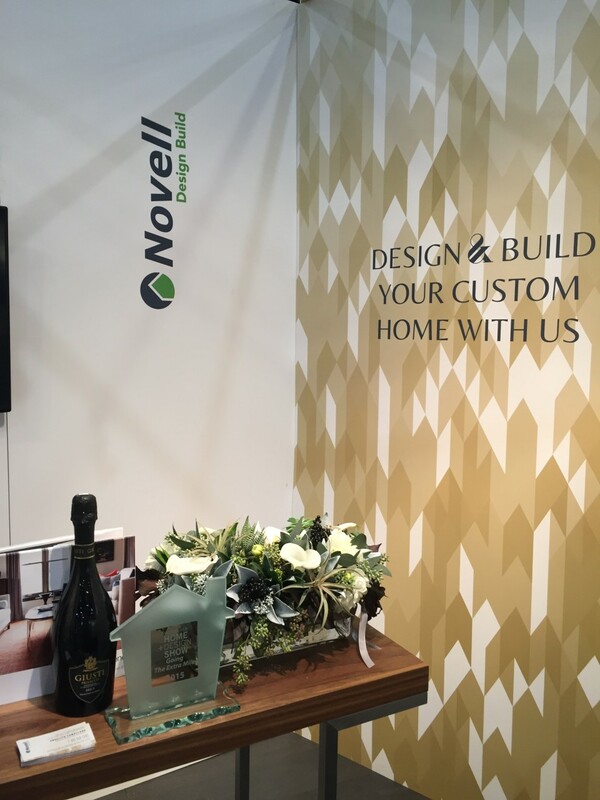 Novell Design Build has been awarded “Best Of Design 2016” and “Best Of Customer Service 2016” on Houzz.com, a leading platform for home remodeling and design. 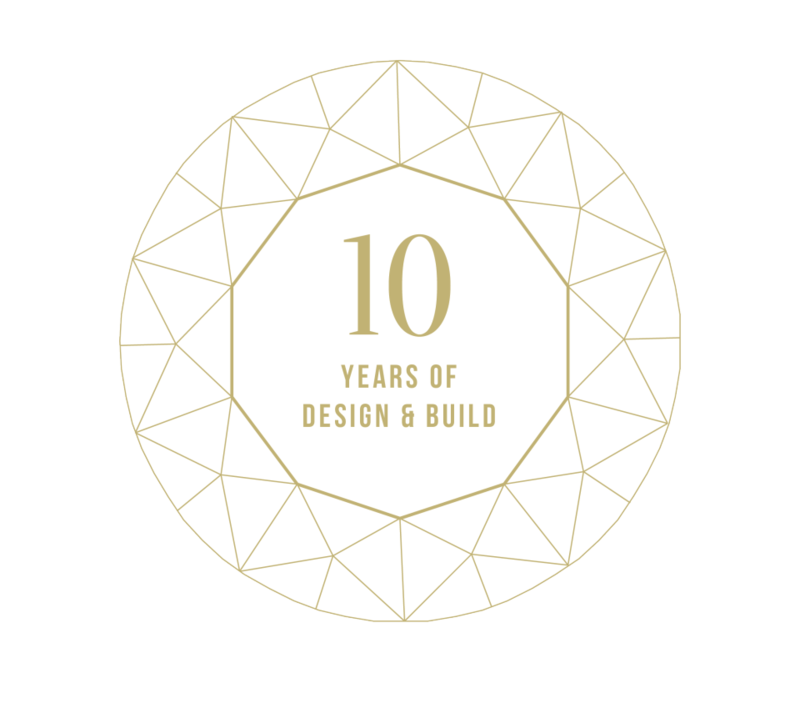 More than 35 million unique users that comprise the Houzz community chose Novell Design Build, who also celebrated 10 years of Design & Build in 2015. The “Best Of Houzz” is awarded annually in three categories: Design, Customer Service and Photography. Customer Service honors are based on several factors, including the number and quality of client reviews a professional received in 2015. The awards really are testament to a commitment to excellence from top-rated home professionals. said Laurel James, Principal Designer. “We’re so pleased to recognize Novell Design Build voted one of our “Best Of Houzz” professionals by our community of homeowners and design enthusiasts actively remodeling and decorating their homes,” said Liza Hausman, vice president of Industry Marketing for Houzz. Follow Novell Design Build on Houzz. If you are thinking about building an award winning home, click here.